And here he is, a very spotted feline, meet Choof the crochet cheetah. This was such a fun pattern to create. 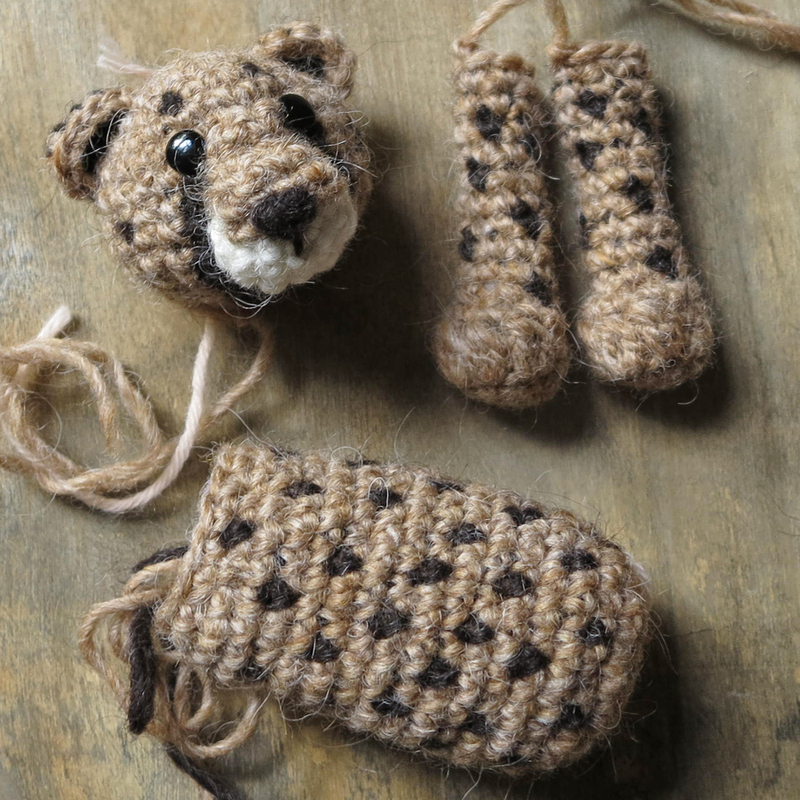 The basic shapes of this cheetah amigurumi were already known to me. The shape of the head many of my big cats have, did not need much changes and the limbs and body only needed to be a bit slimmer than that of the other cats. You clearly see the difference in shape between the big cats is you put them in a line. But of course the spots make the most difference. Because I knew from the start how many stitches wide I was going to make each body part, I could totally focus on getting the ideal pattern for the spots. As I always do, I started with the head. The hardest part of designing the cheetah’s face were those distinctive dark lines around the muzzle. As you all are familiar with, crocheting in a spiral does not always create smooth vertical lines when you crochet in multiple colours. On one side of the muzzle I got a very neat dark line, but on the other side I got this rugged line that did not run smoothly around the muzzle at all. I had to try many options before I found a neat combination of stitches to get the right look. I am very pleased with the end result, even though the stitches aren’t all lined up, the stripe runs smoothly around the muzzle and looks realistic. For the spots of the body I tried a combination of bigger and larger spots, but soon noticed the spots all needed to have the same size. I also figured out pretty soon the spots needed to be placed randomly, not on every other stitch on every other round. So I just worked one round at the time and placed the spots delicately. And in all it simplicity, it works so well. 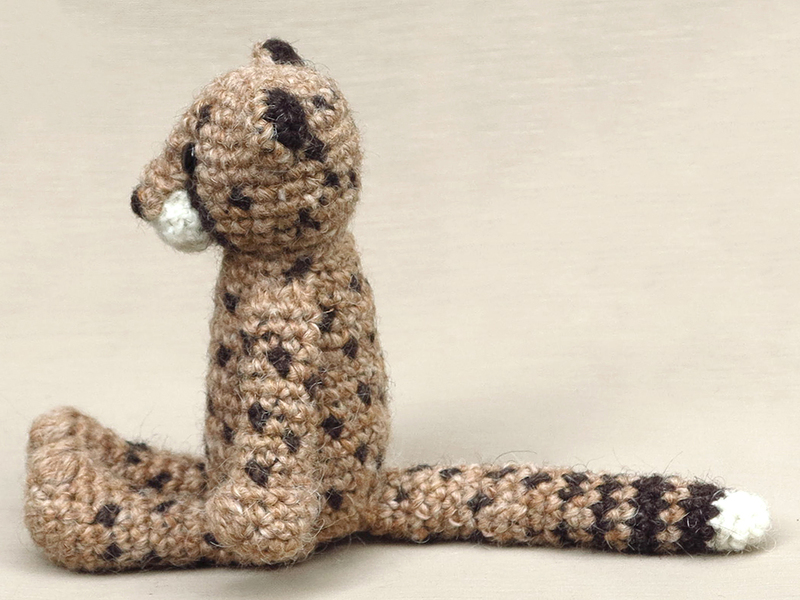 Those random spots give this crochet cheetah the perfect cheetah coat and are so easy to make. And the tail, how could I forget about that, I love this tail. I made it exactly like a real cheetah’s tail, white end, striped and then dotted, just look at it! 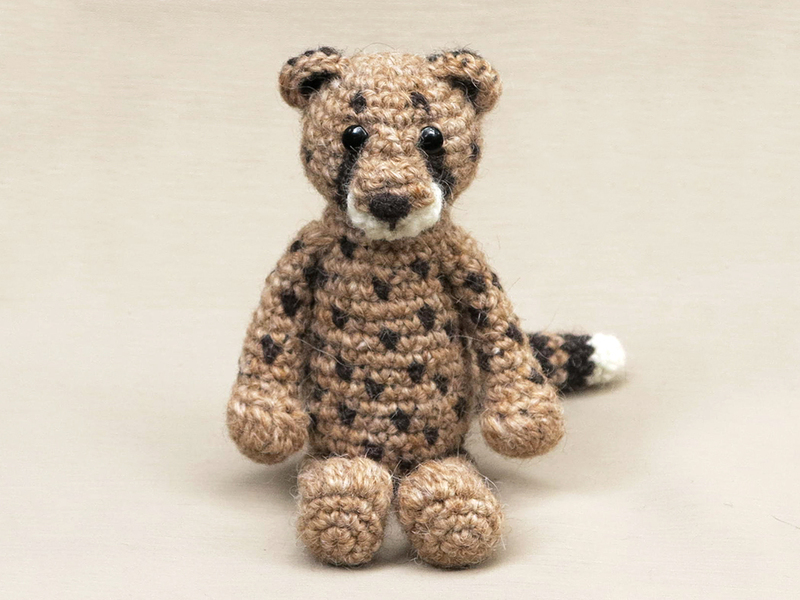 Below the images you can find info about and links to buy the crochet cheetah pattern. Choof is made with Istex Lett Lopi, a 100% wool with a lot of fuzziness. He is sitting 5,5 inch/ 14 cm tall. 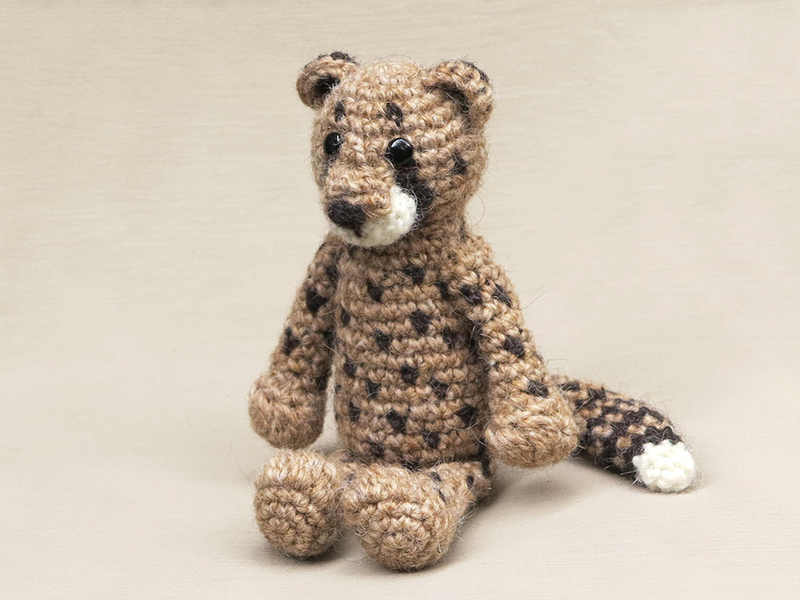 This cheetah crochet pattern contains a clear and colour coded description of how to crochet and assemble it, with extra illustrations and example pictures at the bottom to help you get everything right. 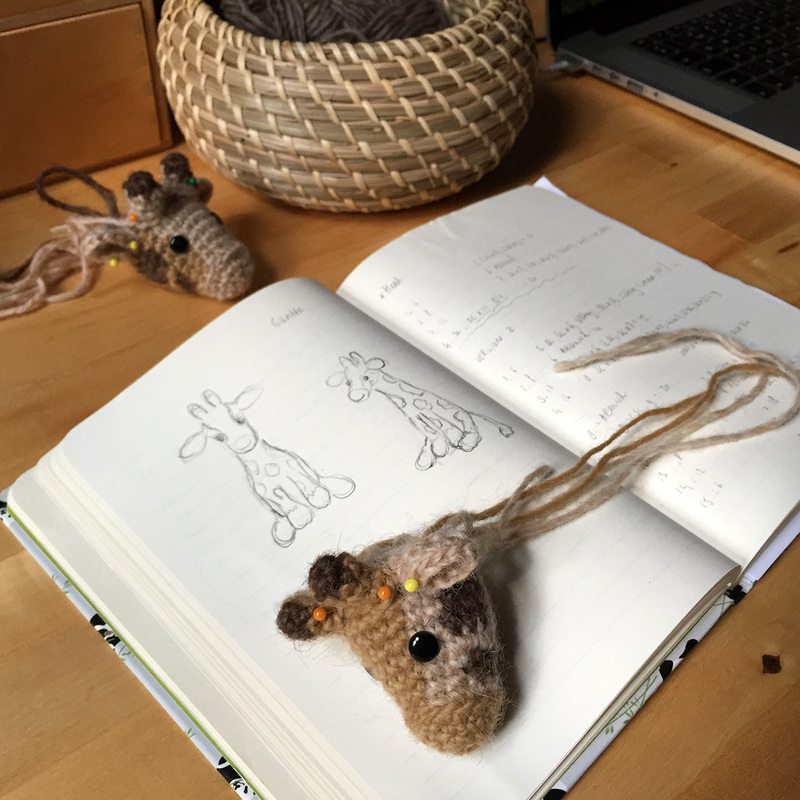 In the pattern you can also find what materials you need, the yarn colour numbers, in short, everything you need to know to make your own spotted feline. All the additional information you need to know about this pattern you can find in the shop listings. You can buy this pattern in my shop at Craftsy and in my shop at Ravelry or order it here. This pattern has a one dollar release discount till Thursday the 12th! What will it be? I’ve been a bit lazy with my updates here. 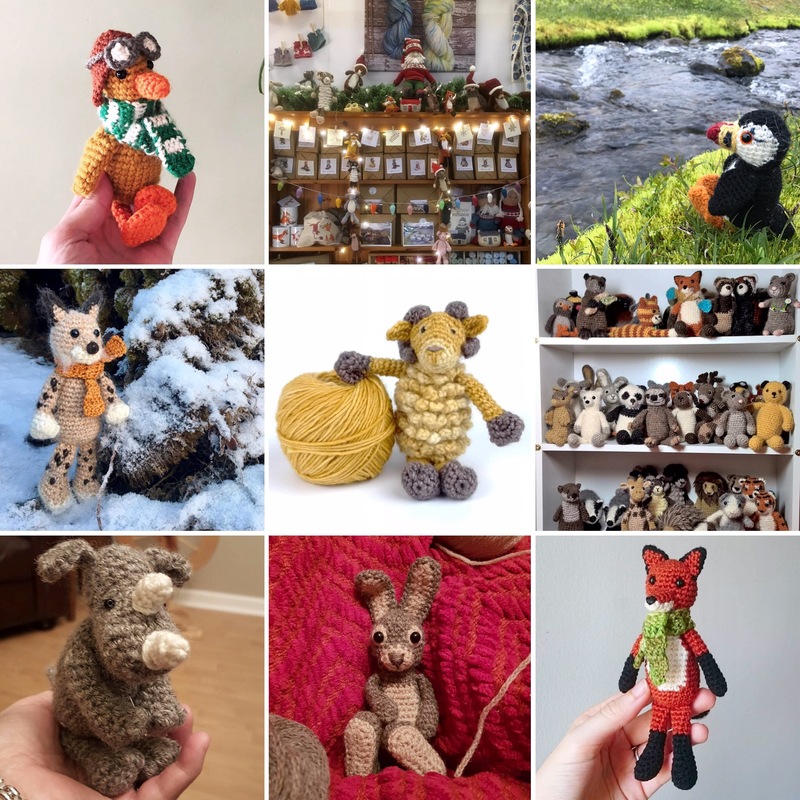 Since I use Instagram I regularly post pictures there of the things I am working on and it kinda slips my mind to also write about it at my blog. Nowadays I use this place to publish the patterns. Hope you don’t mind. If you like to see the WIP’s, just check my Instagram account. But now I am here, I can tell you all about what I am making at the moment. A big, slender spotted cat, yes a cheetah pattern. It’s almost finished and my dear editor is testing the pattern as we speak. I never made a cheetah because of its spottiness, but they are one of my favourite big cats. Especially juvenile cheetahs with their silly wild fur are too ridiculously cute to be real. I love the expressive face of cheetahs too and was a little bit worried if I could manage to get that right. But I think I did. What do you think? You just have to wait till the end of the week to find the pattern here. Enjoy it in all its Autumnal fury!